Baltic Exposervice has successfully worked in the exhibition industry since 1999. We have offered our clients services related with participation in exhibitions: rental, design, and construction of exhibition stands, furniture rental and exhibition equipment for over ten years. We have established partnerships with a number of the world's leading trade fair organizers, such as the "Expocentre" (Russia), "ITE Group Plc." (England), "PLMA International Council" (Netherlands), "Diversified Business Communications" (USA), "GL-events Exhibitions" (France), etc. 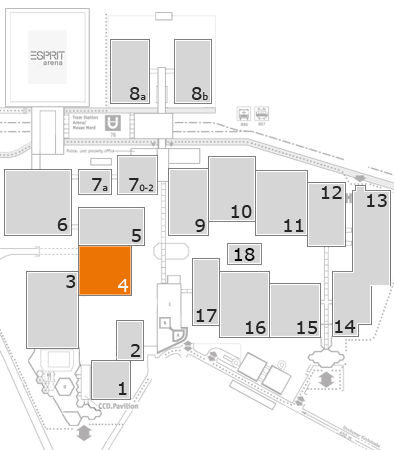 We will find the best solution for your industry and help you to rent exhibition space if you would like to find partners in any country through participation in the exhibition, but not sure in choosing the most correct event. We could develop design of your exclusive stand and instal the stand for you. We will be more than happy to offer our services for the development of non-standard design and construction of your stand, if you already have a space for a stand at an exhibition. We will be glad to offer you to build your stand by your sketches, if you have both a space for a stand and stand design - so you can safely be called a professional participant of exhibitions. We would like to highlight the work of our designers as a separate item. We offer professional creating of a collage for graphics used to decorate walls, banners and other advertising media, and the development of three-dimensional photorealistic model of the stand. We create advertising collages based on the client sent in logos, product photo and other graphic images. Also, we have our own database of photos of various subjects.